Home Food Did You Know The Story Behind Sambhaji Ka Sambar? Did You Know The Story Behind Sambhaji Ka Sambar? A piping hot bowl of sambar with some fluffy idli and coconut chutney is the perfect start to the day! 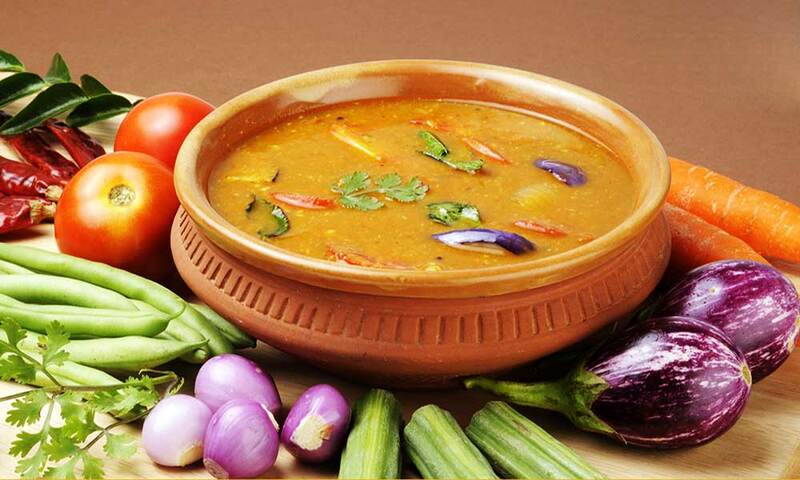 Sambar is one of the most loved South Indian delicacies. 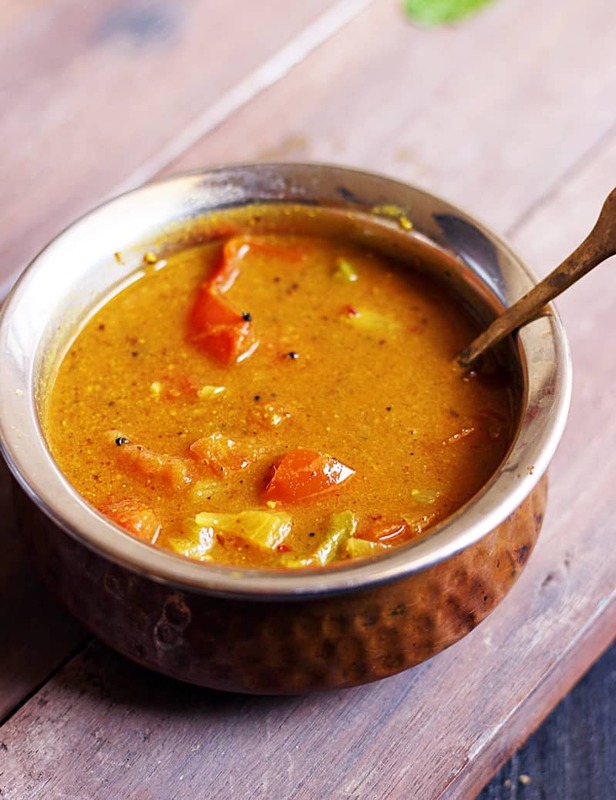 Made using imli, sambar powder, roasted dal and spices, sambar is a soothing and versatile dish. Sambar has over 50 varieties currently. Sambar is the pride of Tamil Nadu, but what if I was to tell you that this popular South Indian dish has its roots in Maharashtra? Sambar is a favourite among all! Yes, you heard it right! Sambar is originally from Maharashtra. Doesn’t the name ‘sambar’ sound a bit similar to ‘Sambhaji’? Chhatrapati Sambhaji Maharaj was the son of the great Chhatrapati Shivaji Maharaj. He took over as a ruler after Shivaji’s death, and ruled until he was captured and executed by the Mughals. Aamti is a traditional Maharashtrian dish, which is similar in taste to sambar. Aamti has chane ki dal instead of the toor dal in sambar. Sambar also has imli or tamarind in it, instead of kokum in aamti. Aamti is a common dish in Maharashtrian households. There are two versions of the story of sambar. One says that a Thanjavaur Maratha ruler, Shahuji tried cooking aamti for Sambhaji, who was his guest. His local cooks added the local ingredients to the dish- toor dal instead of chana dal and imli instead of kokum. They named this new dish after their guest, and hence the name Sambar. The other story says that once when Samhaji’s chief cook was not available, Sambhaji tried cooking aamti for himself. Not knowing the spices and ingredients very well, he added toor dal and imli to the dish. Though the kitchen told him that he had committed a mistake, he tried his concoction of the aamti and loved it. Hence, he named it sambar. Sambar and aamti are different yet very similar. As a Punekar, I’ve eaten both aamti and sambar. They are strikingly different in terms of taste. However, after researching and understanding the history of sambar, I look at it from a new perspective. Both are perhaps regional variations of the same dish. Aamti has more of Maharashtrian spices and the local favourite ingredient kokum. On the other hand, sambar is tangier and less chunky than aamti. Aamti is eaten as it is, almost like a dal. 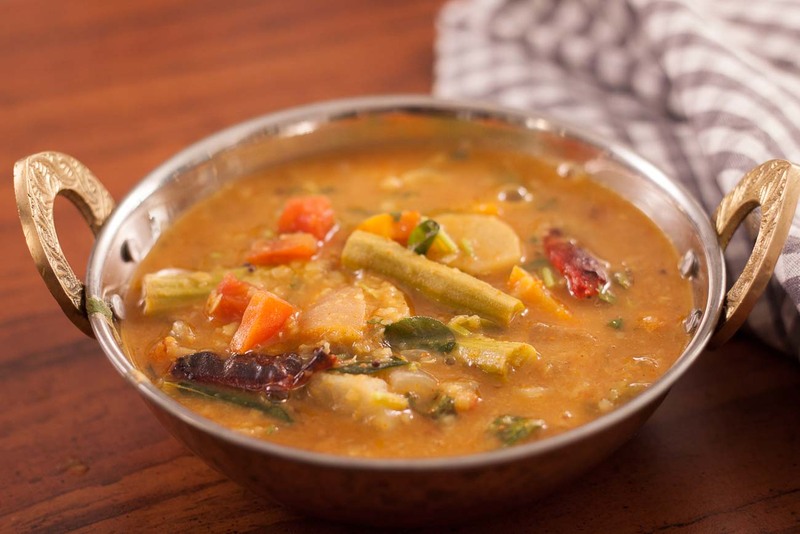 But sambar is more versatile, and many vegetables are added to it. Whether sambar or aamti are Maharashtrian or Tamilian, who cares? I love them both!